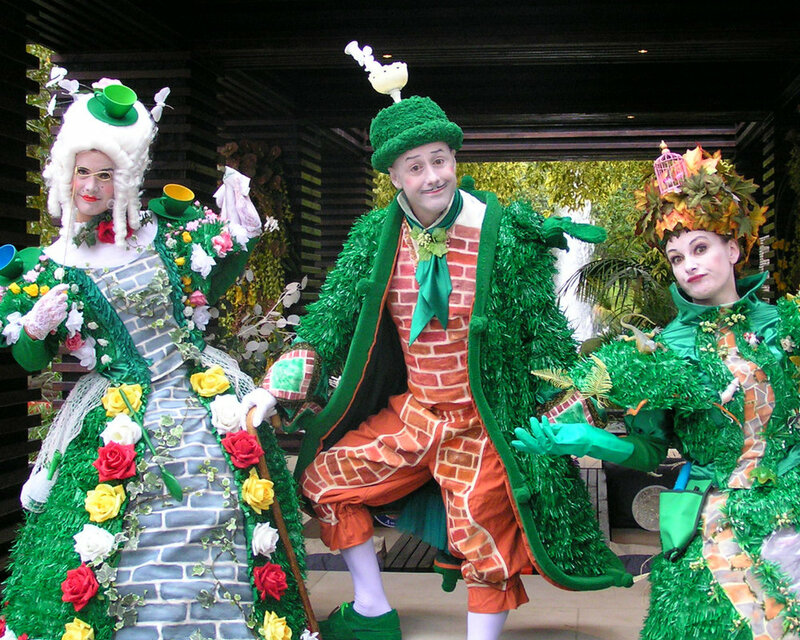 Three magnificently costumed characters perform as moving landscapes, each with their own “garden” personality. Rose Garden is the perfect hostess for a tea party; the society lady covered in trellises, bouquets of flowers, garden walls, climbing ivy and butterflies. Lord Garden the elegant gentleman, covered in hedges, topiary gardens, fountains and pathways. And then there’s Vegie Patch, the untamed dame, complete with vegetables, compost and garden tools; the rough cut diamond that likes to let nature take its course. Look out for them growing on a footpath near you! Anyone for quoits?